Bharti Airtel is fastening the process of rolling out pan-India VoLTE coverage, and at the same time, it is taking care of increasing the supported smartphones list too. Airtel VoLTE support is now rolled out to Samsung’s flagship smartphones which include the newly launched Samsung Galaxy S9, Galaxy S9+ and last year’s Galaxy S8 and S8+. It took a while for Airtel and Samsung to add the VolTE support, but finally, the support has been added and Airtel users can now enjoy HD voice calls on the network. 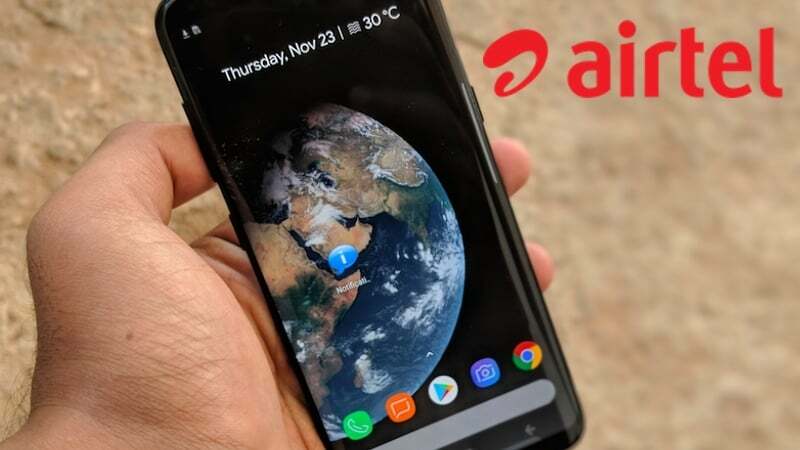 But do make a note that Airtel currently has VoLTE coverage in some regions only and has recently rolled out Airtel VoLTE Beta program to test the service in the regions where the company is looking to roll out the service next. Alongside the Samsung flagship smartphones, Airtel has also added support for a couple of Intex smartphones such as Aqua Lions T1 Lite and Elyt Dual. At the moment, a total of 115 smartphones are on the list of Airtel VoLTE, and the smartphones are from top brands such as Samsung, Apple, Xiaomi, OnePlus, Nokia, Honor and so on. However, one brand which is missing on this list is Motorola, which is yet to add Airtel VoLTE support on its smartphones. But surely, both Motorola and Airtel are working together to add the support at the earliest. Furthermore, as stated earlier, Airtel has rolled out a VoLTE Beta program a couple of days ago, allowing users to test the network on supported smartphones in regions such as Kerala, Andhra Pradesh etc. Airtel is also crediting free 30GB data to the users taking part in the Airtel VoLTE Beta program, but the data will be credited in three phases- 10GB post registration on the program, 10GB after four weeks of testing and the last 10GB after eight weeks of testing the service. Once Motorola rolls out the Airtel VoLTE support to its smartphone, Airtel’s list of VoLTE supported smartphones covers all the major brands in the country. But still, emerging brands such as Tenor, Comio should closely work with Airtel to rollout the VoLTE support. Have Google pixel 2 series got volte update ?